Hey Warriors! 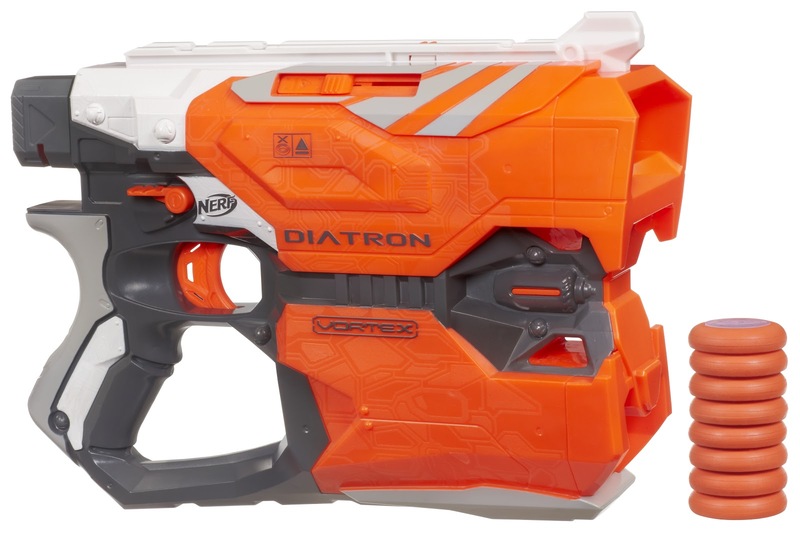 We just got a heads up from NERF letting us know about their two latest blasters! 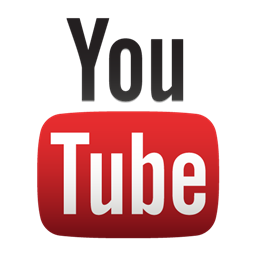 Figured it was time to stretch the blogging legs again. 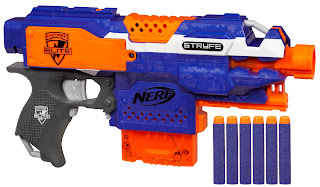 What better time than when the next of the NERF blasters have been announced? We'll lay out a full blog here with all of the latest blasters, but I wanted to get a place-holder up to show you the pics!! "Nerf Nation….are you ready for Multi-Shot Madness? We’re bringing you two new blasters in 2013 that allow you to fire TWO shots at once. 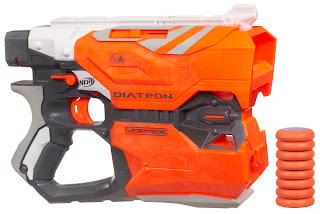 Introducing the N-Strike Elite Rough Cut 2x4 blaster and the Vortex Diatron blaster. Each will fire two darts (Rough Cut 2x4 blaster) or discs (Diatron blaster) with every pull of the trigger, giving you twice the edge over the competition. Look for these blasters on shelves soon in 2013. (Please note: availability and timing will vary by country/state/city) Nation – let us know which multi-shot blaster you will be rockin’ in the new year!" I am very excited about the Roughcut 2x4. The Hornet was around before as a kind of NERF shotgun, but this looks awesome!! And of course, Click Click BAMF's first review was the Barrel Break. As Foam From Above says, this is like a Barrel Break on steroids with the 4 sets darts firing two at a time. More to come . . . Anyone else seeing a Halo gun in this design? A co-worker of mine mentioned that while walking by. Looking forward to trying this with the Lightning Storm Stock. There is not so much to say about the Elite version of the Rayven. 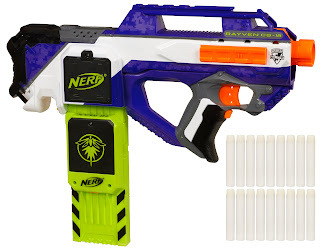 This is just because it seems to keep the best of the still rather new Rayven and maybe add some distance to it. I'm not complaining. Personally, I am rather stoked about the Stryfe which looks like a cross between a minimized Longstrike and a Barricade. It will have all the versatility available with rails on top and bottom. Coop got his hands on one of these thanks to our friend BasicNerf. You'll be seeing an unboxing in no time!